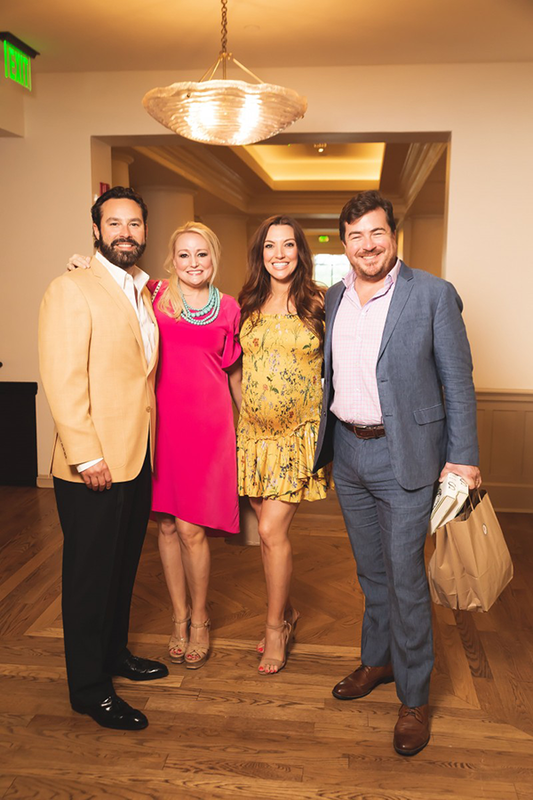 The San Antonio Library Foundation hosted special guest speaker, David DiBenedetto, senior vice president and editor in chief of the award winning Southern lifestyle magazine “Garden & Gun” for the Father’s Day Literary Luncheon honoring honorary chair George C. “Tim” Hixon, and the father of libraries, Andrew Carnegie. The afternoon was fun and full of Southern charm. A few attendees included Tim’s wife Ashley Hixon and her children, special events manager for the SAPLF, Brianna Kirk, president of SAPLF, Tracey Bennett, co-chairs Timo Hixon and Alex Schenker and luncheon committee: Brooke and Matthew Bell, Lindsay and Greg Bolner, Sara McCamish and Edward Briggs, Kelly and Bingo Carter, Lori and Richard Coiner, Heather and Jeff De Rojas, Caroleene and Bobby Dobson, Tracee and JJ Feik, Kelly and Steven Fry, Amy and Mark Garcia, Linsday and Jack Guenther, Ashley Hixon, Ashley and Jay Korbell, Rosa and Roby Latimer, Jody and Howard Lutz, Nicole and Rob McClane, Whitney and Joe Miller, Jim Foster & Guillermo Nicolás, Courtney and Steven Ogle, Cameron Redding, Denae Schenker. 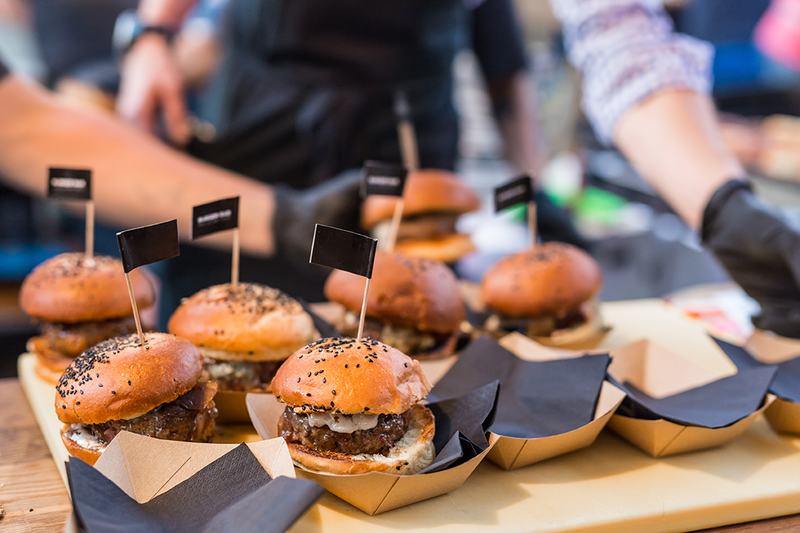 This year marks the 25th anniversary of the Alamo Heights Taste of the Heights. This years the event moves to a new venue, the San Antonio Zoo. The event will take place Oct 18 from 7:00-10:00pm and will feature foods from some of San Antonio’s finest restaurants. There will be live entertainment, cocktails, incredible food and a silent auction. The event benefits Asperger’s 101. On Saturday, Oct 27, co-chairs Heather de Rojas, Amy Garcia and Xitlalt Herrera-Salazar invite you to join guests of honor La Catrina, AnaPaula Watson y El Catrín and Rick Liberto in support of the San Antonio Public Library Foundation and the Latino Collection and Resource Center at the Central Library. Get your tickets early for this sure-to-be-sold-out event. 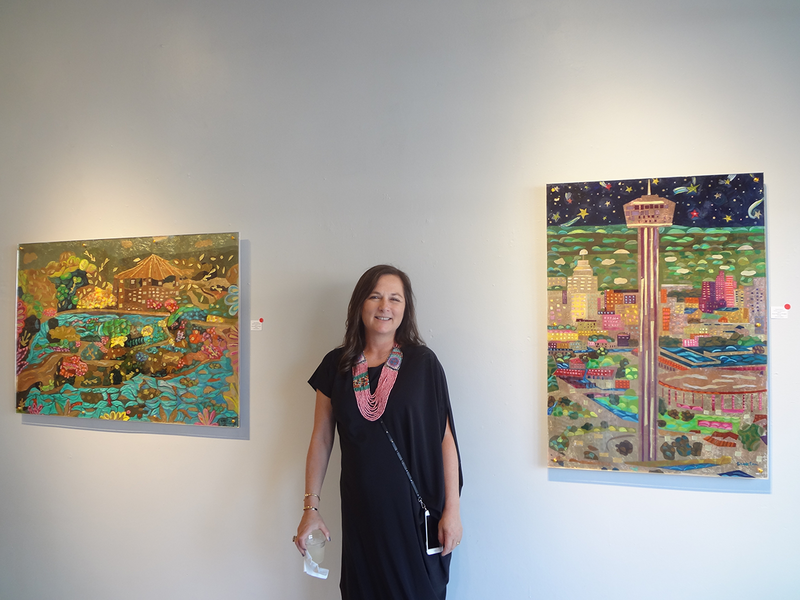 Artist Brook Rosser’s opening exhibit was held at Ana Montoya’s AnArte Gallery in the Collection. Rosser decided to honor San Antonio’s 300th birthday with a series of paintings depicting a few of her favorite landmarks, from the Japanese Tea Gardens to iconic signs such as The Ranch Motel and Hung Fong Chinese Restaurant (fans are still mourning the closing of this famous restaurant). Other pieces included paintings of Missions Concepcion and Espada, North Star Mall, The Alamo, Casa Rio, Tower of Life and Tower of America, Rollercade, and Broadway 5050. Every single art piece sold and a percentage of the proceeds were donated to Conrad Smiles. Art patrons included: Gobie Walsdorf, Anne Krause, Mary Whitten, Tracy Paz, Susan Lynn, Karlos Anzoategui, Phyllis Morris, Christopher Sanchez, Sherie Lené Johnson, Terry Gay Puckett, Linda Walsdorf, Tim Lavender, Michelle Lozano, Luz Ortiz, BeBe Rosser and Natalee Newel. AnArte Gallery is delighted to be hosting Patricia Ortiz’s mesmerizing opening reception of “An Enchanted City” on Thursday, Sept 13 from 6:00-8:00pm. There will be a Margaritas & Dos Equis reception, music by Louis Davila, art talk at 6:45 and more. A portion of the proceeds will benefit the Children’s Hunger Fund. Exhibit on view through Sept 30. Visit the San Antonio Botanical Gardens for a casual evening of craft brew samplings, food booths, lawn games and music Saturday, Sept 22 at 7:00 p.m. Working closely with San Antonio Cerveceros, Brews and Blooms provides a venue for new and seasoned local craft brewmasters to showcase their suds. Choose from a selection of 30-40 craft beers from ales to lagers, including some great seasonal releases from local and regional breweries, and make sure you take home your souvenir glass! Attention Lego Lovers: Nature Connects is an award-winning sculpture exhibit by Brooklyn-based artist Sean Kenney. Created with nearly half a million LEGO bricks, the thirteen nature-inspired displays include a larger-than-life Monarch butterfly and a six-foot hummingbird on a trumpet flower. Whataburger has made a $100,000 donation to the DoSeum to support the organization’s efforts to promote learning through exploration, open-ended discovery and role-play. In recognition of Whataburger’s generous gift, the DoSeum gave its Little Town Food Truck an orange makeover and transformed it into a Whataburger Food Truck. 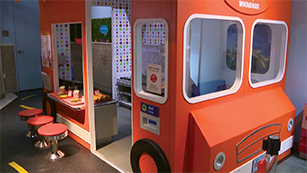 The Food Truck inside Little Town is one of The DoSeum’s most popular exhibits, allowing little learners to learn through role-play as servers, cooks or customers. The DoSeum unveiled the newly outfitted Whataburger Food Truck on Monday, Aug. 6. Guests who visited the museum wearing orange on that day received a specialWhataburger surprise. Join Les Dames d’Escoffier San Antonio Chapter for a delicious and enlightening journey celebrating Influential Women. The event takes place September 21 at the San Antonio Marriott Rivercenter from 11:00 am til 2:00 pm. The Luncheon will be led by president and luncheon co-chair Blanca Aldaco and co-chair Debbie Gonzalez. A few Dames supporting the luncheon include Grand Dame Rosemary Kowalski, Di-Anna R. Arias, Leslie Komet Ausburn, Nichole Bendele, Lainey Berkus, JoAnn Boone, Crystal Kay Dady, Cynthia Guido, Mary Martini, Rashin Mazaheri, Anne Ng, Diana Barrios Trevino, Maureen Weissman, and Lisa Wong. The Lions Club of San Antonio recently held a reception for newly elected Lions International President Gudrun Yngvadottir of Garedabagr, Iceland. President Gudrun made history by being the first female to be elected International President, as well as being the first from Iceland. The reception was a luncheon held at the Menger Hotel. In August, the Briscoe Museum hosted a special screening of the new HBO documentary 15: A Quinceanera Story that featured two members of local escaramuza team Las Coronelas de San Antonio. Escaramuza, an event within the larger rodeo-like sport known as charrería, is comprised of teams of women performing a series of choreographed routines on horseback. The film followed best friends Jackie and Nina as they prepared for their joint quinceañera, while pursuing their love of escaramuza.